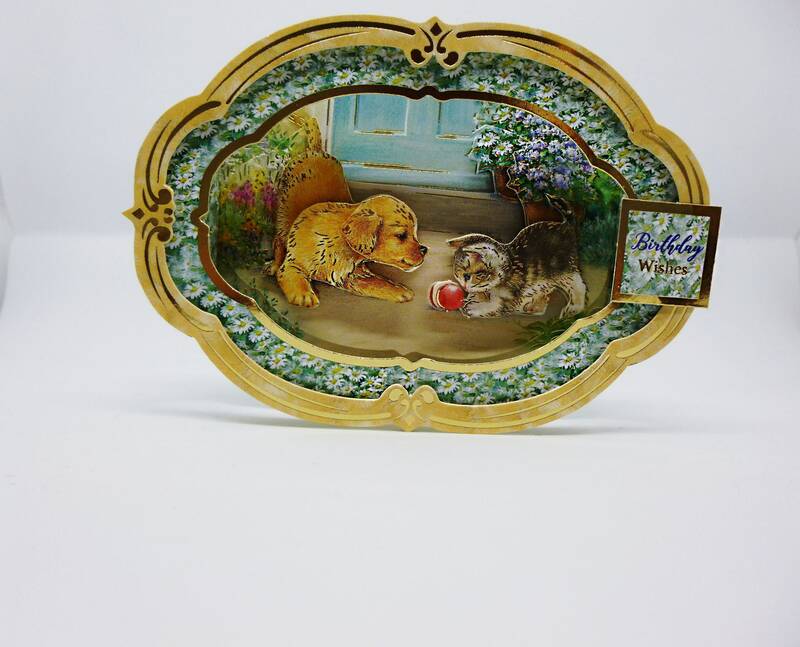 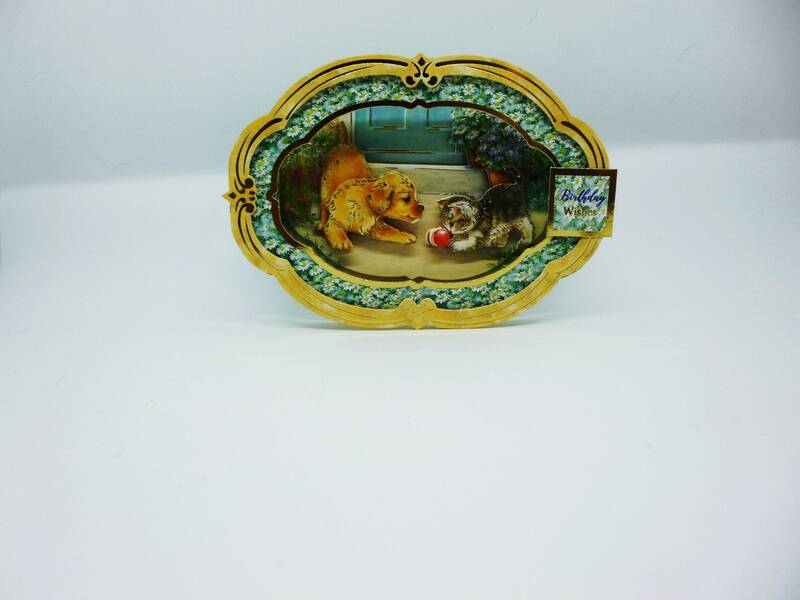 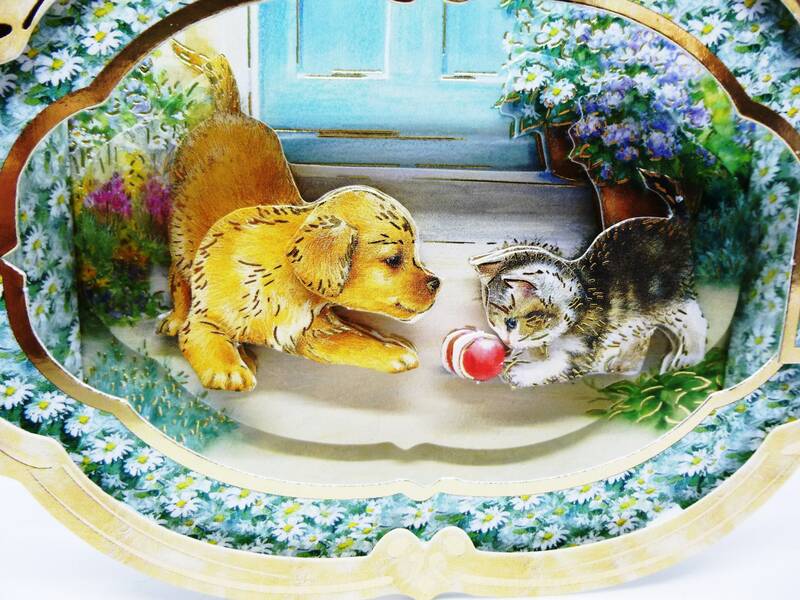 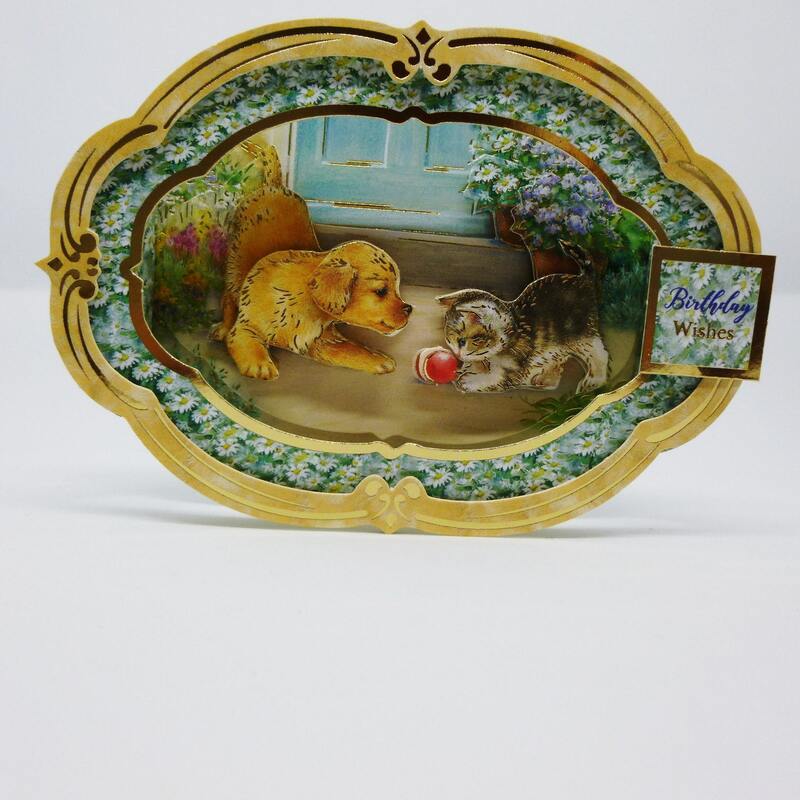 A very cute card 3 D decoupage of a puppy kitten playing with a red ball. 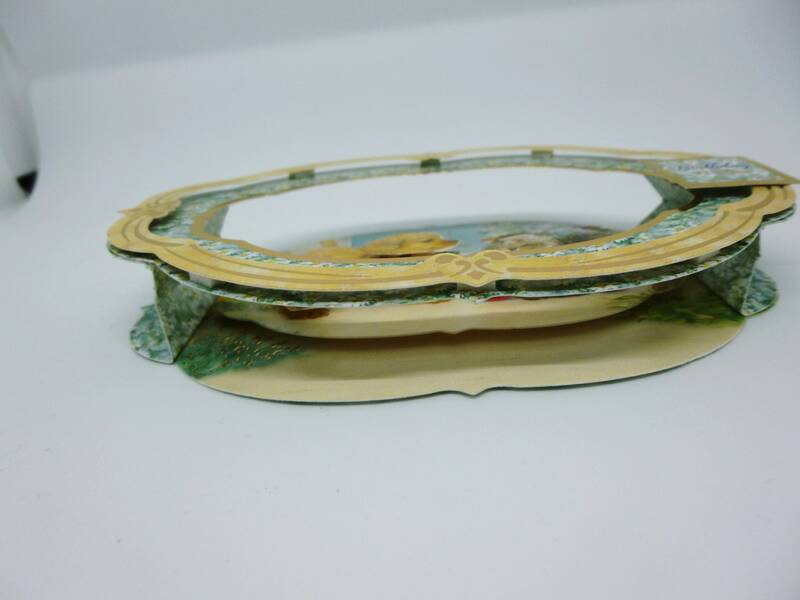 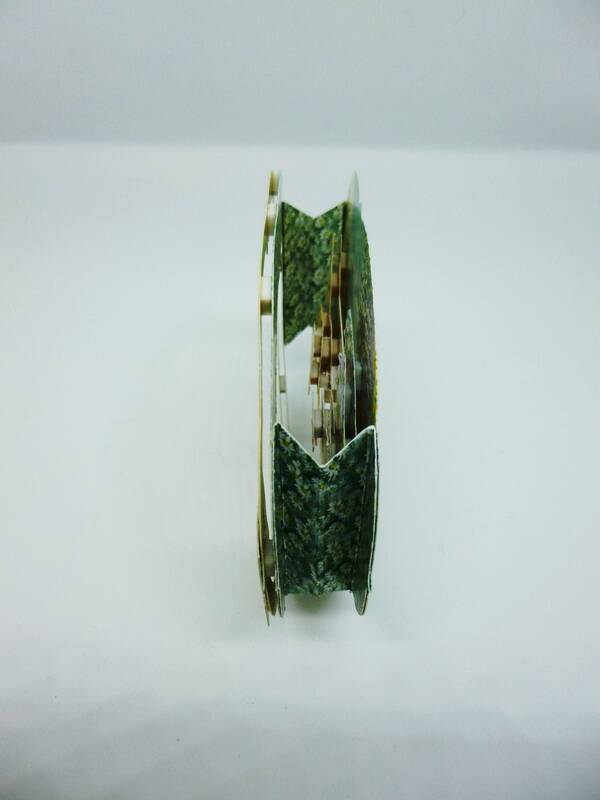 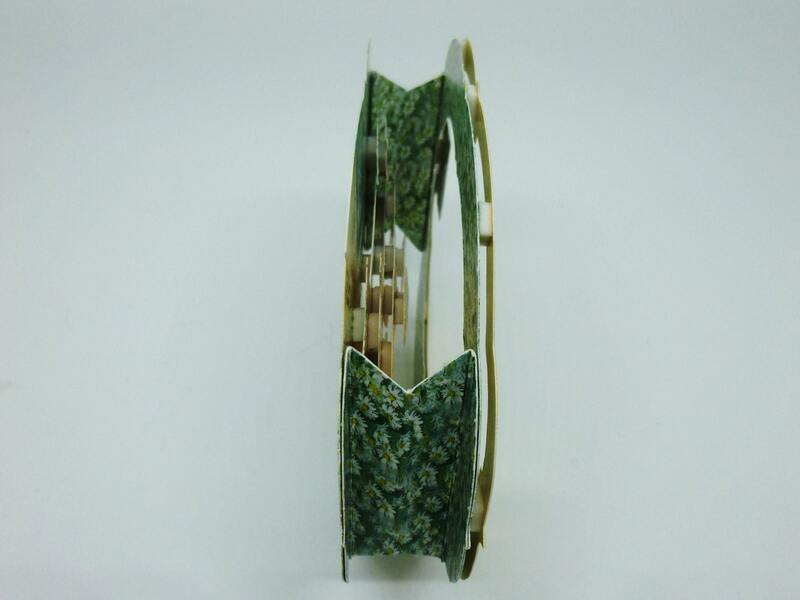 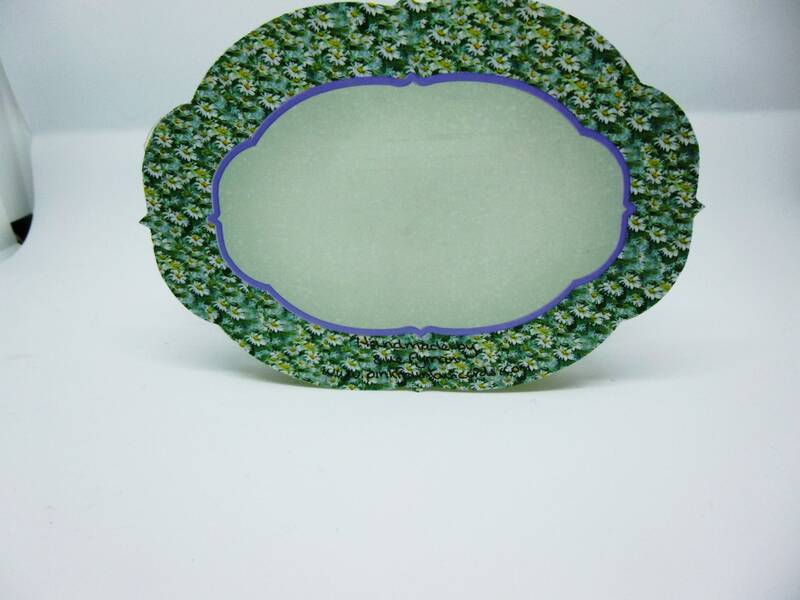 Shaped green and gold frame, with the decoupage in the centre. 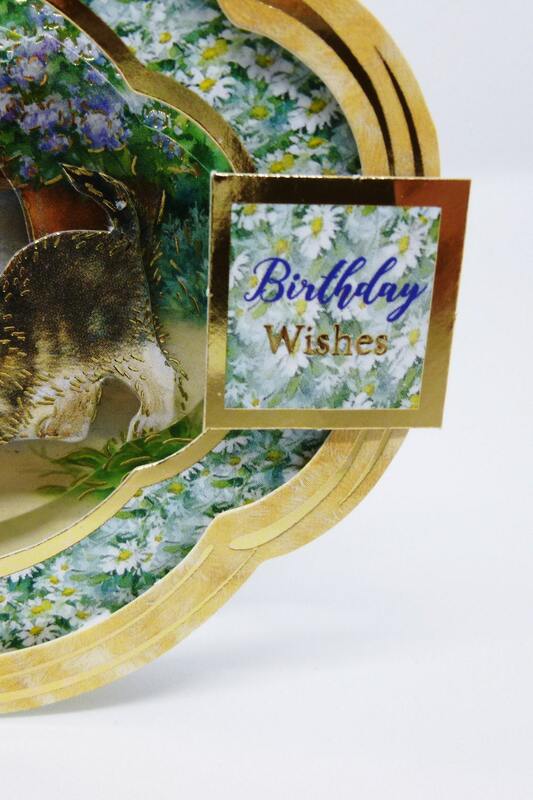 At the side is a sentiment which says 'Birthday Wishes'. 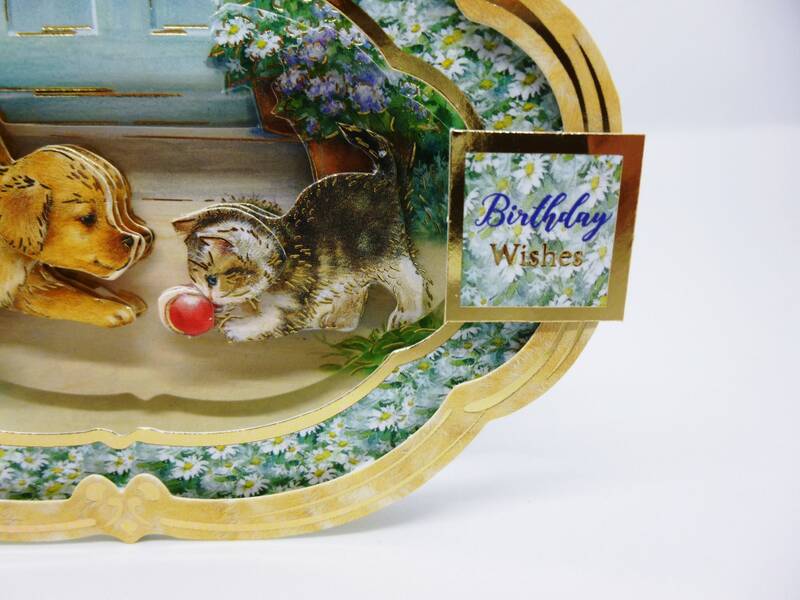 This card is really pretty, made with love and a lot of talent!